The Brookhaven Camellia Society presents the 53rd annual Camellia Show in cooperation with the American Camellia Society. The American Camellia Society was founded in 1945. Its mission is to extend the appreciation of camellias and to promote the science of camellia culture. Want to join? 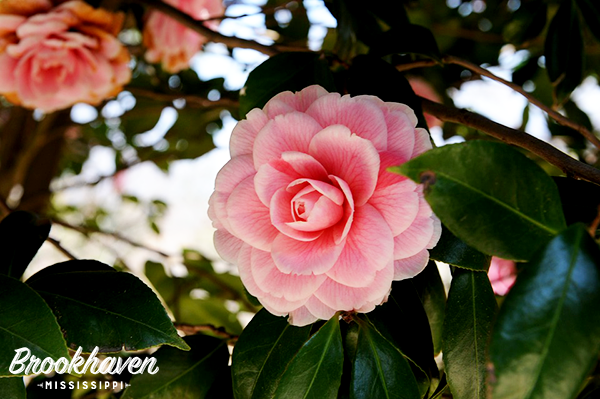 The Brookhaven Camellia Society meets the second Tuesday of the month from September to April. According to the American Camellia Society, the camellia plant not only produces beautiful blooms but also can be used for cooking, cosmetics, oils, and tea. Camellia sinensis “The Tea Plant” is not only useful for making tea, but it is considered one of the most beautiful fall blooming evergreen shrubs. It will fit nicely into your garden or landscape. It grows very well in containers and makes excellent cut flower sprays for floral arrangements to decorate your home. The 53rd annual Camellia Show will be held at the Brookhaven Recreational Center on Saturday, February 6th from 2 – 5pm. Want to take home a beautiful plant of your own? Camellia plants will be available to purchase on Saturday from Mizell Camellia Hill Nursery of Folsom, Louisiana. We hope you’ll stop by this unique event held in our very own Brookhaven!